If you have opted to retire in France, you should note that as a French resident, all of your worldwide income and gains should be declared on your French tax return. To avoid confusion it is best to refer to the UK / France Double taxation Treaty on this matter. The Double Tax Treaty is set up to ensure that you do not pay tax twice on any income / gains. However, the global amount is needed in order to calculate the rate at which income should be taxed in France. As such, income which is normally taxed outside of France e.g. a government or civil service pension, will still be used in order to calculate your overall tax liability. Government pensions and state / private pensions are treated differently in the UK and French. If you receive a government pension, this is taxed in the UK and not in France. On the other hand, if you are in receipt of either a state or private pension, it is eligible to be taxed in France and not in the UK. It should be noted that ‘state pensions’ are regarded as ‘private pensions’ by the French authorities and are therefore taxable in France. Have chosen to retire in France, many expats are keen to to take their UK pension funds with them. A Qualifying Recognised Overseas Pension Scheme (QROPS) offers numerous advantages over keeping your pension in the UK system. 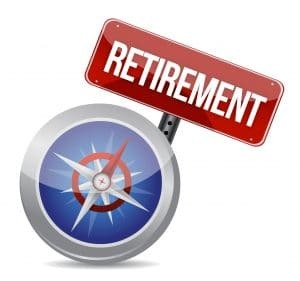 Anyone who is currently a member of a UK registered pension or has been in the past, and who is considering retirement outside of the UK, can now transfer their retirement fund into a QROPS. In the first instance it is important to find out if you are eligible for a pension transfer; thereafter you need to be aware of HMRC Rules governing these schemes.